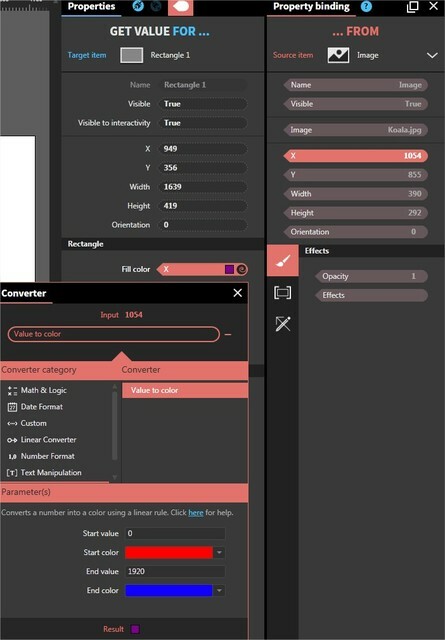 The Value to Color converter enables you to convert a numeric value located within an input range into a color located within an output range. You can use this converter to animate a shape color between 2 color values, creating a nice grandient-like animated effect. In the example below, the Fill property of a rectangle shape is bound to the X property of an image. 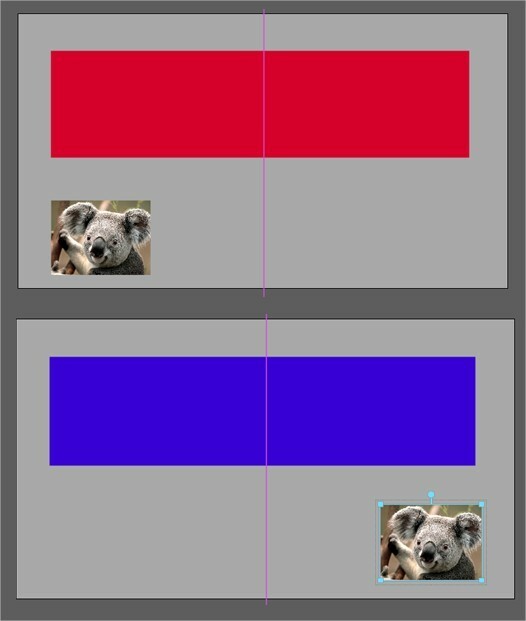 When the image is moving from the left side of the scene (X = 0) to the right side (X = 1920), the rectangle will go from a from a red to a blue color. Check the Design Trends Experience you can download for free in the Samples tab of the Experiences panel. You will see how we used this converter to change the background color while sliding the elements in the space. It's a great addition to the parallax effect.